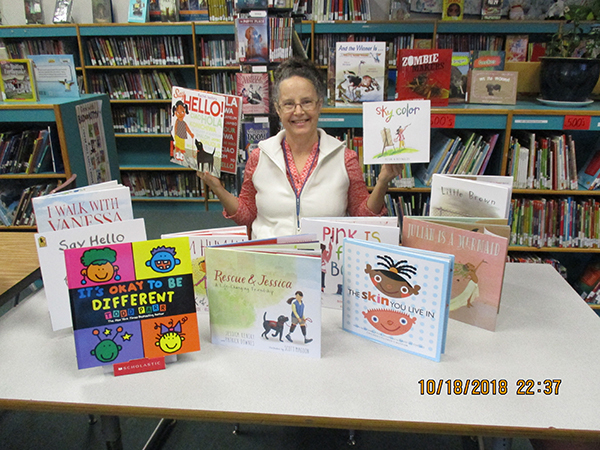 Librarian Lori Ellis with some of the books purchased through the grant. NEW SHARON - Cape Cod Hill School has received a $5,000 from the Stephen & Tabitha King Grant Foundation to purchase new books, after the school librarian put in a grant request. Librarian Lori Ellis put in the request after noticing holes in the library's collection. In her grant application to the King Foundation, Ellis noted that her annual budget was less than $1,500 a year to purchase new books. She requested funding to cover gaps in three wide areas, including research books relating to the STEM fields - science, technology, engineering and mathematics. As many as two-thirds of the CCHS library's books were 18 to 20 years out of date, Ellis said. She also asked for materials for emergent readers, including larger books suitable to be held up and read to a group by a teacher as well as picture books for students working on their language development. 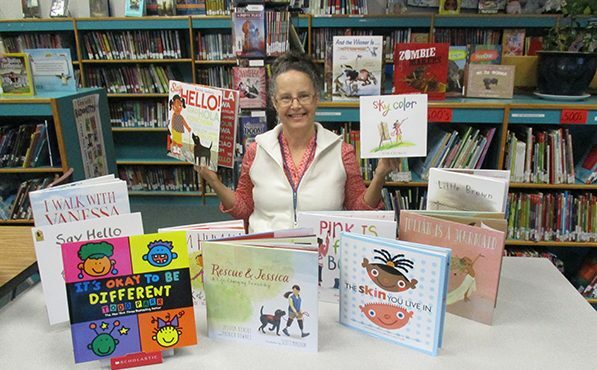 Finally, Ellis requested funds to purchase a bevy of titles promoting empathy, acceptance and self-awareness on the part of her young readers. Habits of mind - a collection of disciplines relating to ideas such as listening with empathy, problem-solving and innovative thinking - are part of the district's curriculum, and Ellis asked for additional material relating to those concepts. Most of the books are nonfiction, Ellis said. She noted that 4th and 5th graders at CCHS now have designated time to visit the library and conduct research. 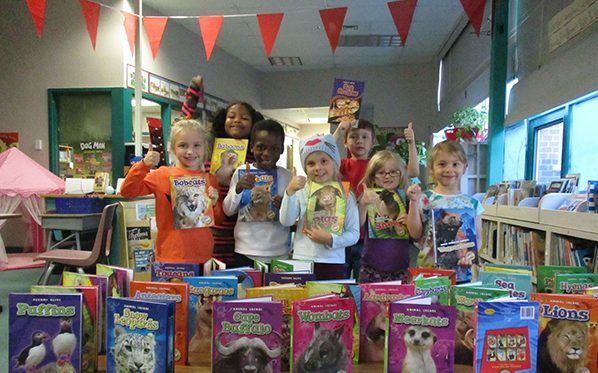 "The new books are an invaluable resource for them," Ellis said. Founded by the authors that share its name, the Stephen and Tabitha King Foundation works within the state to support non-profit organizations. 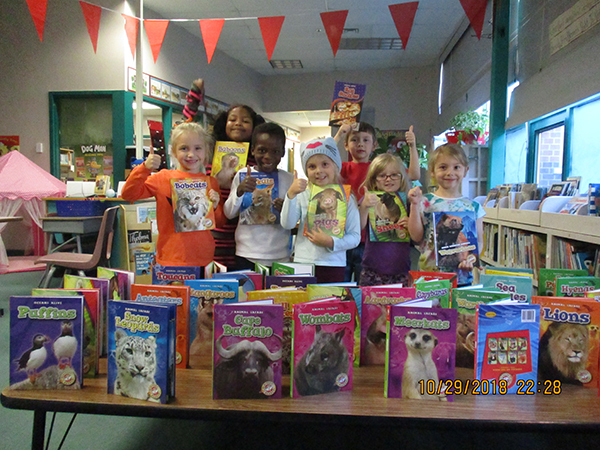 First grade students with animal-themed books purchased through the grant. This is such a great way to use a grant. Thank you Lori for advocating for our" little readers" and for taking care of the library's needs! !